Pets that are enrolled as young as possible. Petplan covers vet exam fees, full coverage for dental diseases and injuries and hereditary conditions such as hip dysplasia as standard in their policies. Petplan covers things like cancer care, prescription medications, diagnostic treatments, imaging like MRI, CAT Scans and ultrasounds, surgery and rehabilitation, alternative therapies like homeopathy and chiropractic care and general accident and illness are all covered up to 90 percent from Petplan based on your reimbursement level. Be sure to get all vet records from birth over to Petplan, or they could later deny a claim based on the ‘possibility’ of a preexisting condition, according to one reviewer on Yelp. Petplan pet insurance is highly customizable. You can choose from deductibles from $100 to $1000, reimbursement from 70%, 80% or 90% and annual coverage starting at $2,500, going up to unlimited. The more coverage you choose, the higher your monthly premium will be, but this may give you the type of coverage you need so you don’t have high out of pocket expenses later on. Paperless claims through their mobile app, simply upload photos of your invoice and medical records, and you are done. You can also do a pre-authorization for known procedures, although this is not required, or file claims by fax, email or regular mail by downloading a pre-filled in claim form from their website and sending it in with the proper supporting documents. 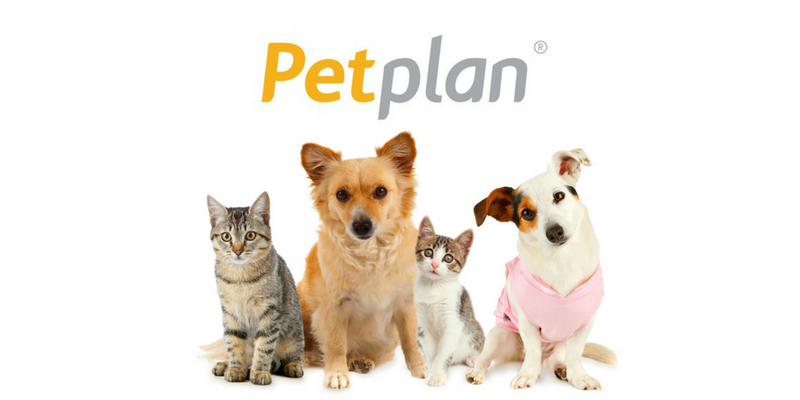 Petplan also has additional perks like 24/7 customer service from their Happiness Managers and a virtual Pet Coach that helps you plan vet appointments and keep your pet’s health on track. Petplan recently got a new underwriter, which made premiums go up. Due to this, some reviews complain about the increase in price, but others do note that the coverage seems better and more comprehensive now. Be sure to read your policy carefully. If your pet needs a well check every year to keep coverage, then make sure you take care of that or they will not cover your claim. Petplan also increases the premium as your pet ages, so while they won’t drop your pet after a certain age like other plans might, they will increase the premium, sometimes twice as high as you were paying previously, so this is something to look out for. Remember when you are building a quote to look for value, what you may need and use, and remember that pet insurance is so you can avoid financial ruin if your pet gets critically injured or ill. Petplan has some of the more costly monthly premiums, but if it gives you peace of mind to have more comprehensive coverage, then it is worth it.